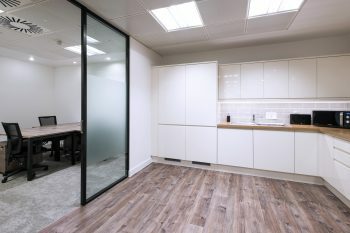 Protecting your office flooring is important for health and safety as well as maintaining the professional look of your office over time. Here are three ways you can protect your office flooring from activities you’ll expect everyday. When you’ve got a beautiful office, you’ll want to keep it that way. 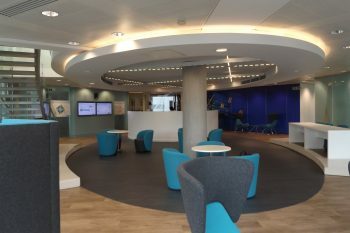 It helps to maintain a professional impression of the company to office guests, employees and customers. This can improve the value of sales and productivity across the business. It is important when looking at the flooring your require to ensure you choose a floor covering that has passed the Castor Chair Test (EN 985 A-Pass for continuous use). If your chairs don’t have castors, you might want to look at investing in chair glides. These are also a great idea if heavy furniture is regularly moved. These are easy to attach and there’s a great variety to suit your specific needs. Staff frequently have a cup or bottle on their desk. In addition, the majority of staff tend to eat lunch at their desks. All of this means that there is a risk of spillages that could damage the floor. For carpet tiles it is important to do regular cleaning with an upright vacuum cleaner that has a powered brush. A spot and stain removal regime is also essential, not allowing stains to dry, which will make them harder to remove. Full periodic maintenance is also recommended. This can be achieved through a rotary shampoo or a hot water extraction process. See our carpet tile cleaning and maintenance guide for more information, (available on all our carpet tile product pages as a download). For Vinyl Tiles, a daily dusting and mopping is recommended, it is important to use a neutral pH cleaner. Again our cleaning and maintenance guides give sound advice on what to use. We recommend avoiding prolonged exposure to direct sunlight to protect the floor. Your entrance is a high traffic area and when it’s cold or wet, the chances of water entering your office building increase, as people walk in with wet shoes. There’s also the risk of stones stuck in the tread of people’s shoes scratching flooring surfaces. The most practical solution is to install entrance matting system at your entrance. This is where staff can rub their shoes and clean off any water and dislodge stones. Moving from a ‘simple to install entrance matting system’ to barrier tiles gives additional protection and can look particularly attractive, as well as being highly functional. 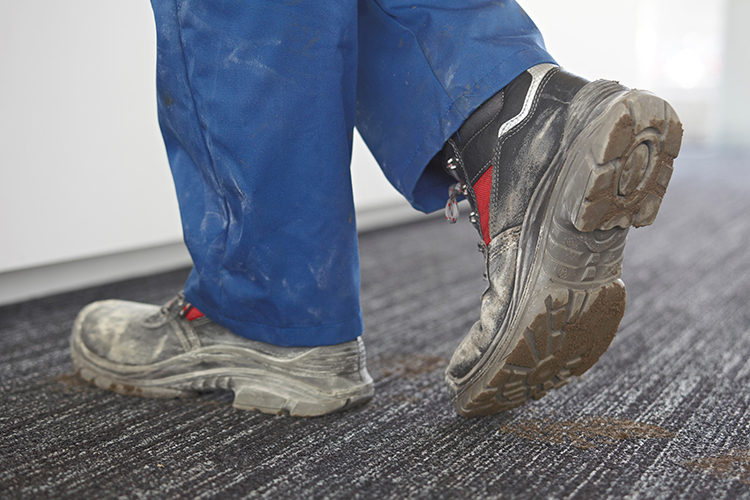 Keeping your office flooring protected from damage is important. Numerous activities can damage your flooring but there are ways to reduce the need to repair or replace it. The three simple tips above will help keep your vinyl or carpet tile flooring in top condition for a beautiful office environment. 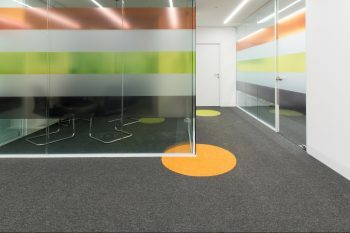 Choosing a quality product is another part of the added value mix, carpet tiles that have built-in stain protection and vinyl tiles that come with a ‘high-tech protective film’, all contribute to life-time cost, and appearance retention, as well as any health and safety concerns.